Situated in the sociology of culture, this course offers an introduction to and application of the use of visual media in sociological inquiry. Visual media are used to examine important traits of the socio-cultural context in which they are produced and are also relied upon as a pedagogical tool to examine a variety of sociological concepts and theories. In terms of the media used, the course will rely on examples from American cinema and/or television. In terms of the thematic issues of sociological interest, analysis centers on a variety of empirical issues, such as law, crime, deviance, power, culture, and other relevant sociological themes. As time permits, specific attention in this course will go to one or more of the following topics: a sociological history of American cinema; the movies of Alfred Hitchcock; and American TV detective shows. The temporal emphasis is on the recent past, specifically the 1920s through the 1980s. Note: Until 2017 this course was called, "Society Through the Lens." The course syllabus will be provided to all registered students via Blackboard. Hollywood series (silent era): Hollywood Ep 1 (The Pioneers); Hollywood Ep. 2 (The Beginning); Hollywood Ep. 3 (Single Beds and Double Standards); Hollywood Ep. 4 (Hollywood Goes to War); Hollywood Ep. 5 (Hazards of the Game); Hollywood Ep. 6 (Swanson and Valentino); Hollywood Ep. 7 (Autocrats); Hollywood Ep. 8 (Comedy); Hollywood Ep. 9 (Out West); Hollywood Ep. 10 (Megaphone); Hollywood Ep. 11 (Lights); Hollywood Ep. 12 (End). Hollywood's Golden Age - Documentary. History of Hollywood - In multiple parts. The Gunslingers of the Wild West - American frontier. Complicated Women - Before the Hays code (4 parts). Why Be Good? - Censorship in early cinema. The History of Hollywood Censorship -Documentary. The Celluloid Closet - Documentary. Hollywood and the Gangsters - BBC documentary. Film Noir - PBS documentary. Bringing Darkness to Light - Film noir documentary. 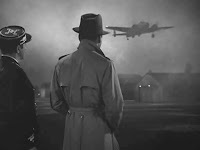 The Best of Film Noir (Part I) + Part 2 - Two-part documentary. Operation Hollywood - The Pentagon and the movies. Sociology and Film - Short blog post, 2011. Making Sense of Films - By Tom Gunning. History Matters, 2002. A Sociology of the Cinema - The Bioscopy, 2012. On Documentary Film Styles - Historical and Sociological Perspectives, 2013. Evolution of Crime Films - The Society Pages, 2012. Sociology and the Cinema - By Perry Lovell, 1971. Sociology of Film - Online copy of a book by J.P. Mayer, 1946. Sociological Cinema - Online resources. Sociology of/in Film - Online syllabi. Deflem, Mathieu. 2007. 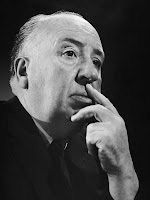 "Alfred Hitchcock and Sociological Theory: Parsons Goes to the Movies." Sociation Today 5(1). Deflem, Mathieu. 2016. "Alfred Hitchcock: Visions of Guilt and Innocence." Pp. 203-227 in Framing Law and Crime: An Interdisciplinary Anthology, edited by Caroline Joan S. Picart, Michael Hviid Jacobsen, and Cecil Greek. Fairleigh Dickinson University Press. Scharrer, Erica. 2012. "More Than 'Just the Facts': Portrayals of Masculinity in Police and Detective Programs Over Time." Howard Journal of Communications 23:88-109. Deroche, Constance and John Deroche. 1991. "Black and White: Racial Construction in Television Police Dramas." Canadian Ethnic Studies 23(3):69-92. DeTardo-Bora, Kimberly A. 2009. "Criminal Justice 'Hollywood Style': How Women in Criminal Justice Professions Are Depicted in Prime-Time Crime Dramas." Women & Criminal Justice 19: 153-168. Hitchcock Audio source: Listen to François Truffaut’s Big, 12-Hour Interview with Alfred Hitchcock, 1962. Hitchcock Movie sources: 20 Free Hitchcock Movies (for online viewing) or watch on YouTube.